Summon the Deep One and Tell Your Neighbors! Chtulhu and the Warner: a match made in Pedro! 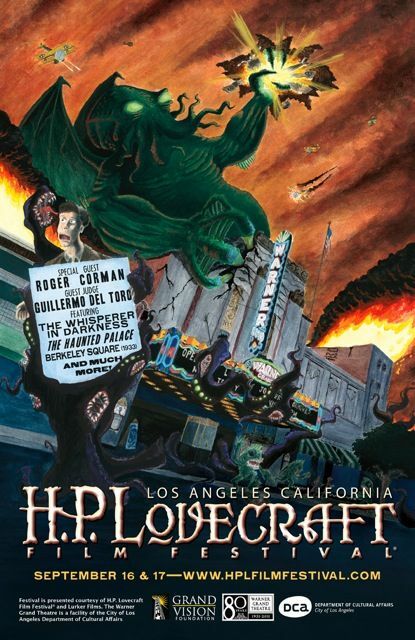 In mid September, The Los Angeles H. P. Lovecraft Film Festival will wind its tentacles round the Warner Grand Theater in San Pedro. I can think of no better place to celebrate the mysterious, macabre and maddening than our own harbor town or as I call it, Innsmouth West! And what better excuse to visit the beautiful, art deco era Warner Grand? & a selection of independent short subjects! And that’s not all! An opening night reception for guests and VIP ticket holders on Friday prior to the screenings at the Grand Vision Foundation Annex. I wonder if they will be serving squid? Lovecraft authors: Cody Goodfellow, Jenna Pitman, Ted E. Grau, Michael Tice, Denise Dumars, and screenwriter/movie maker C. Courtney Joyner, will read selections and present a literary panel on Saturday from 2pm to 4pm at Williams Book Store, located across the street from the Warner. Film Props and memorabilia will be on display and a host of quirky and creepy vendors will be on hand! Finally, I can get a new Miskatonic University T-shirt. 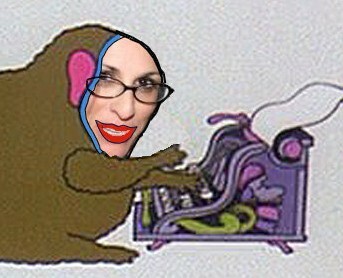 If you are not sure what I am gibbering about or find this post eerily unsettling than check out http://www.hplfilmfestival.com/ and The H.P. Lovecraft Historical Society. 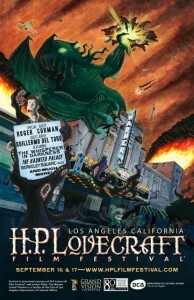 This entry was posted in Events, Miscellanious, Movies and tagged H. P. Lovecraft, HP, San Pedro, Warner Grand Theater. Bookmark the permalink. 2 Responses to Summon the Deep One and Tell Your Neighbors! Here’s some additional info as regards the scheduled for the Festival/Con.